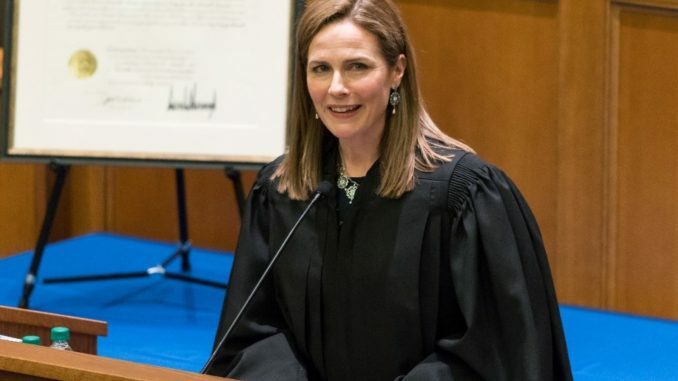 President Trump has picked conservative Catholic Judge Amy Barrett to replace liberal Justice Ruth Bader Ginsburg when she leaves the court. 86-year-old Ginsburg is reportedly in very poor health and is set to retire imminently. President Trump has reportedly said he is “saving” Judge Amy Barrett of the U.S. Court of Appeals for the 7th Circuit to replace Justice Ruth Bader Ginsburg on the Supreme Court, according to Axios. Barrett was a popular choice among conservative activists as a candidate to replace Justice Anthony Kennedy before Trump eventually nominated Justice Brett Kavanaugh. Thegatewaypundit.com reports: The American left is very threatened by devout Catholics like Amy Barrett. 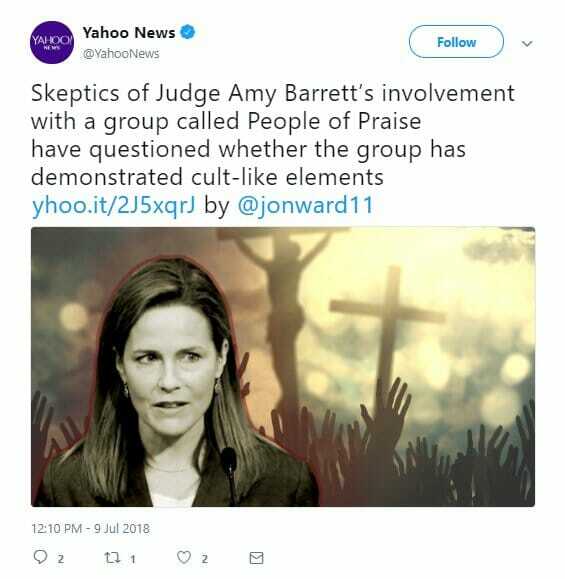 According to far left Yahoo stringent Catholics like Judge Amy Barrett are cultists. This is the type of anti-Christian filth that is promoted by the liberal media and Democrats today. Who are the ‘People of Praise’ that Supreme Court contender Amy Coney Barrett belongs to? Many Christians view this time as a bona fide revival, a unique manifestation of God’s power, similar to the Great Awakenings of the 18th and 19th centuries. This context — the intensity and earnestness of that time — helps explain some of the more esoteric and sometimes concerning elements of religious practice that have been attributed to People of Praise. The group’s public reticence has contributed to accusations by former members that it attempts to influence the lives of its members in ways that in the past have crossed over into control and manipulation. Even in one of the most rigorous critiques of Barrett’s group — a 152-page booklet written in 1997 by a former member named Adrian Reimers — there are numerous references to the powerful experience that swept up so many young people of faith during that time. Reimers notes “the strong sense of euphoria that permeated the movement, not only in South Bend, [Ind.,] but all across the country. “It seemed that the Holy Spirit was carrying us along, that all we had to do was to respond to His manifest leadings,” Reimers wrote of that time. Because, according to Yahoo, having an “almost tangible sense of communion with God” is a cult-ish experience.